Lucian Dervan, associate professor of law and director of criminal justice studies for Belmont Law, recently spoke at the American Bar Association (ABA) Criminal Justice Section Fall Institute in Washington, D.C. Dervan opened the conference with an address examining the history of plea bargaining, and in his role as chair of the ABA Criminal Justice Section, he also announced the launch of a new ABA Criminal Justice Section Task Force. The Plea Bargaining Task Force will bring together a diverse group of individuals representing various institutions and perspectives in the criminal justice system to examine plea bargaining and provide recommendations regarding the best path forward. 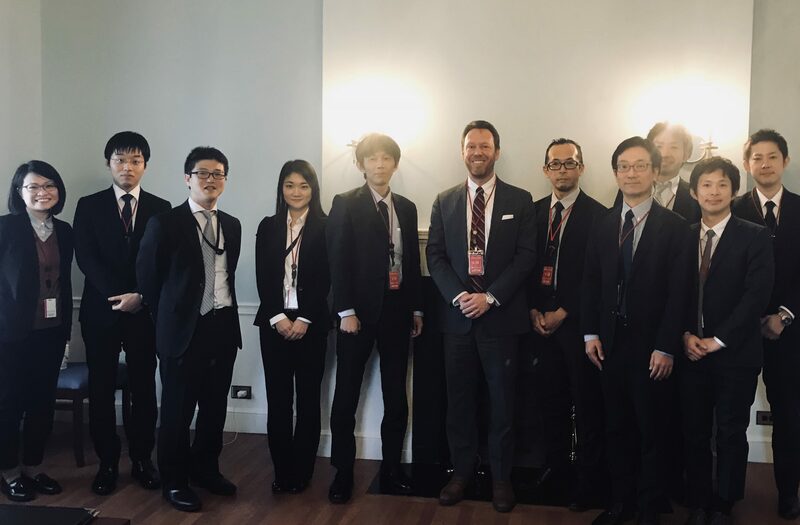 ‪During his time in D.C., Dervan was also invited to the Embassy of Japan to meet with leaders from the Supreme Prosecutor’s Office and various regional prosecutor offices to discuss Japan’s new prosecutorial agreement law and share his research on plea bargaining.